Today’s new music spotlight is on la lune and Seeva. About: la lune is the project of 20-year-old Brighton-based singer-songwriter and producer, Olivia Judd, who is influenced by artists such as The Japanese House, Lorde, and James Blake. With a healthy back catalogue, support from the likes of BBC Introducing and NME, and festivals such as Isle of Wight, 2000trees, and The Great Escape under her belt, la lune has been pegged by many as “one to watch”. On her latest single, la lune collaborates with London-based singer-songwriter and producer Tarun Shah AKA Seeva. Taking influences from Years & Years, Lorde, and Dua Lipa, Seeva’s infectious melodies and heartfelt lyrics come together to create sophisticated pop, that has been supported by BBC Introducing, established producers in the industry, and bagged him a slot at Brighton Pride in 2017. 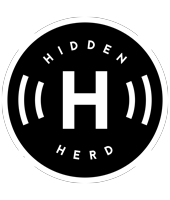 What Hidden Herd say: If, like us, you were spellbound by la lune’s ethereal voice and dazzling synthscapes in 2018, then brace yourself; la lune and Seeva are a match made in heaven, unveiling a velvety electro-pop collaboration that sounds like the meeting point between Dua Lipa and The Japanese House. Ready? 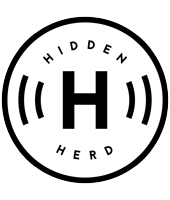 Listen to ‘Heartstop.’ – premiering on Hidden Herd below.